Who doesn’t love a well-appointed home? After all, a house is just a house until it is transformed into a home, by collecting meaningful personal treasures gathered over time, each with sentimental value to their owner. At Eclectic Vintage Design in Oceanside, an appealing variety of unique yet very affordable, high quality furnishings, home decor, art, and handcrafted gifts can be found. Serving North County since early 2016, owners Rick Maxey and Kim Jacklin have created a inspiring shopping experience, combining pre-owned furniture in great condition with new products such as bath and beauty, candles, and handcrafted jewelry, sourced locally from North County craft artists. Clients who venture into their 4,500 sf store on Mission in the San Luis Rey valley will discover an eclectic array of merchandise in many styles. Whatever your style, whether you’re into antiques and vintage furniture, painted, shabby chic, mid-century modern, boho, or farmhouse design, there’s likely something perfect for your home to be found here. Eclectic strives to carry quality furnishings at a fraction of their original costs, making a beautiful room affordable. 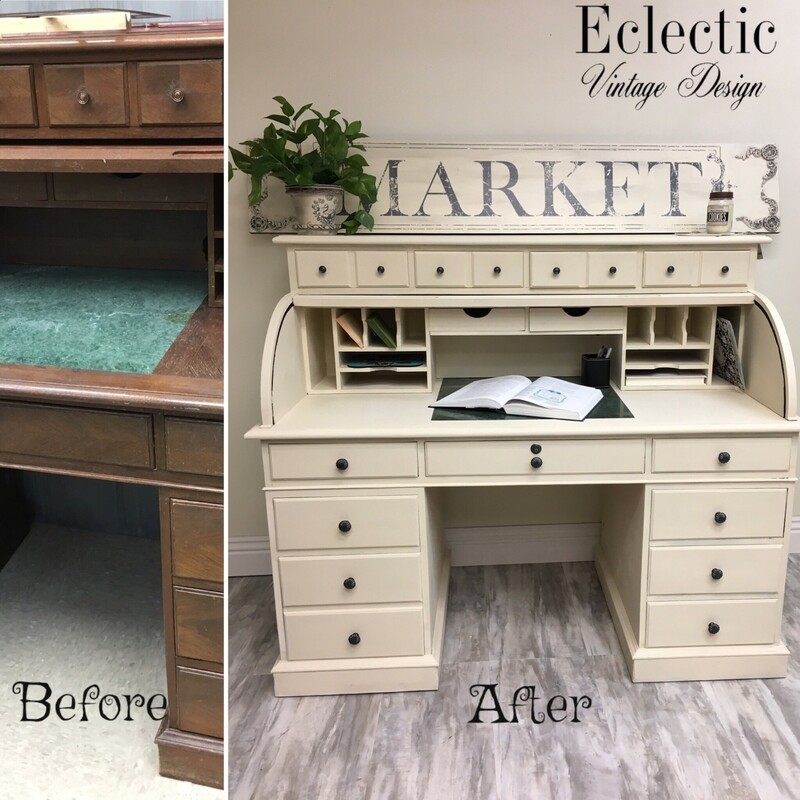 Eclectic retails chalk paint and supplies, carrying product lines including Country Chic Paint, Dixie Belle Paint Company, and Iron Orchid Designs. Eclectic provides professional furniture painting services for clients who want their furniture updated to blend with their current style. Custom painting takes place on site in their Paintery Studio. You’ll likely see them in action when you visit. They are always happy to set aside their paint brushes for an impromptu consultation or demonstration on a technique. Eclectic creates unique, hand painted signs on site as well. Made to order signs are available. If you are into doing it yourself, classes are available on a regular basis. Want a fun activity to do with friends? Schedule a painting party. Visit eclecticvintagedesign.com to view class schedules, or peruse their gallery of store photos. Eclectic anchors the Valley Plaza, at 3320 Mission Ave. Store hours are Tuesday through Saturday, 10 am to 5 pm. For more information call (760) 231-7899, or follow them on Facebook or Instagram.